You have asked us for years to release Game Dev Tycoon for mobile and today we are happy to announce that: Yes, it’s finally coming! An updated version of Game Dev Tycoon will release for iPad and iPhone on November 28th, followed by a PC update and an Android release. Excited? Great! then please take a second to ↓ sign up to our newsletter ↓ and we’ll ping you when the release is out! The mobile release of Game Dev Tycoon contains no in-app purchases and no ads. We did, however, take the opportunity to add a few new things to the game for this release. – an updated story line (something about bitter tasting cartridges). – new topics to enable even more game types. – a new super-difficult game mode, inspired by true events. – built-in video recording and streaming support because Game Dev Tycoon proved to be popular with streamers around the world. – a re-designed user interface, tuned to mobile devices. PC players won’t miss out on these, as new content such as topics (including these gorgeous icons), the new game mode, and updated story line will be delivered as a free update to our current Game Dev Tycoon players soon after the mobile release. We knew a good port would probably take more than a year to do right. We also knew that we lacked the experience with mobile game development to do an efficient job and since we wanted to start our second game too, we had to look for a development partner. Someone with the right experience, someone who gets what makes Game Dev Tycoon fun and, most importantly, someone we can trust to deliver a quality port. We partnered up with Rarebyte, a premium developer with a long history of mobile development experience based in Austria. They have been great! In what languages will you release Game Dev Tycoon? The game will be available in 17 languages: English, French, Italian, German, Spanish, Arabic, Czech, Dutch, Greek, Hungarian, Polish, Portuguese-Brazil, Russian, Swedish, Turkish, Ukrainian and Korean. In what countries will the game be available? We aim for a global launch but due to release complexities introduced by China it is unlikely that we will be including China at launch. Are you looking for testers? Yes, we’d like to test the game with a small number of players. If you are interested in testing the game, please voice your interest here. I'm a journalist/influencer, can I get a copy to review? Yes, we aim to release for Android in January 2018. You can discuss our announcement here. You can comment on our announcement here. First things first: we are not ready to announce more details about Game #2 but in case you haven’t seen our non-revealing teaser page, you can find it here (make sure you sign up to our newsletter while you are at it!). That out of the way, I’m happy to report that since we changed the project over to Unity some 10 months ago we have made a ton of progress. It was a bold step and a difficult decision to scratch all our previous prototypes and restart from zero but switching the engine and rebooting the project was absolutely the right call. The game will be much better for it. The entire team is focused on this reboot and we are getting closer to an internal alpha version of the first level (we currently plan for three large progression steps, similar to how GDT has offices). Most of the core systems like AI, game-mechanics, UX, prop/animation systems are in place for the alpha and our newest team members, Seth and Mike, have employed their art wizardry and art necromancy skills to raise the game from ugly prototype to something that looks very much like an ambitious indie game in the making. On a personal note, I will remember 2015 as the year I did not sleep. It was also one of the most joyous, emotional and challenging years of my life. Around this time last year my wife and I found out that we are expecting our first children… Surprise: twins!! This year in May we welcomed our twin boys into the world and life has not been the same since. Needless to say, I took some time off in the middle of the year but I had no idea just how challenging it would be to run a business and work from home while having twin-newborns in the house. Looking back, the only reason I was able to get anything done at all was because of the generous help from family and friends. 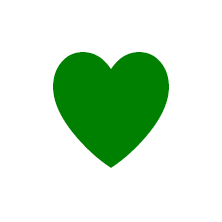 Anyway, it has certainly become easier since then and thankfully, when it comes to Greenheart Games, there is a whole team of people involved. Looking forward to 2016, I’m very excited about the road ahead and I’m looking forward to being able to start talking more about Game #2 (probably once we are closer to a beta). I’m also aware that our complete focus on this reboot (combined with my temporary break) has meant that we retreated from the Game Dev Tycoon community a bit too much and that’s something I’d like to change. The last few days I’ve added some better error reporting to GDT, fixed a long-standing issue that would affect new users and Daniel updated the translations again (we now have a Korean beta). I’ve also started working on some small UX improvements and we will discuss other options for GDT in the new year. We feel very fortunate to have so many players still enjoying or just starting to enjoy Game Dev Tycoon and, while we still need to focus on Game #2, we want to do something for the GDT community as well. Happy holidays and wishing everyone a fantastic 2016. We have been very quiet. Last year was an intense year for us. We hired a larger team and we started a bunch of really interesting projects. Things became hectic quickly. There’s probably a good reason we only allow one project at a time in Game Dev Tycoon :D.
Anyway, as the year progressed, some projects went well, others not so much and not everything has gone to plan. Halfway through the year a new idea for a game came up that quickly became one of the favorites among the team. We realized that this new idea required a much bigger focus and shelved some of the projects that weren’t progressing as much as we’d hoped. This also gave us the opportunity to take the best elements from these shelved projects and integrate them into this new idea. 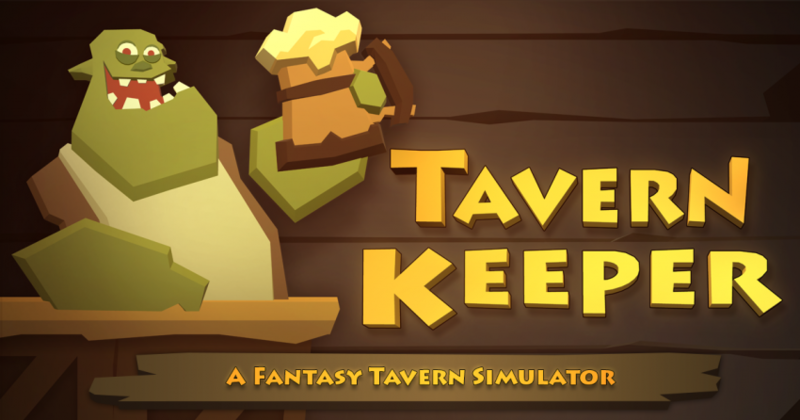 After prototyping this new project in HTML5, we also realized that this game will really work better with a full 3D engine, and, after spending months working with three.js, we decided to restart the game from scratch in Unity. More on that decision here. Our main focus is Game #2. Game #2 is a humorous and sophisticated business simulation game in the spirit of classics like Theme Hospital, Dungeon Keeper and Star Topia. It’s a new exciting concept and we are focusing on a great single player experience, full with interesting game mechanics and interactive story-telling. It’s our first 3D game and has simulation as well as base building elements. We are super excited about this but unfortunately it’s too early to show more (especially since we are switching engine). Game Dev Tycoon 2 is a long term goal for us. Last year we spent a considerable amount of time working on concepts for it (including a early gameplay prototype, more than just talk!). We wanted to prove that we have the necessary vision to make a sequel worthwhile. I think we do. We are innovating on the core gameplay, adding more and more features and aim to deliver a much more mature simulation game (while keeping it fun). We feel though that we can learn a lot from focusing on Game #2 first, and then coming back to the game dev genre. We are not leaving Game Dev Tycoon on the wayside though. More on this soon! Celebrating Game Dev Tycoon with Workshop support. Today, we are happy to announce that Game Dev Tycoon now ships with Steam Workshop support and, even better, there are already a dozen great mods available for you to enjoy. From simple mods that add topics and platforms, to more advanced mods adding competitors or allowing you to build custom PCs. Head over to our Workshop page to check out what’s on offer. Whether you are an expert modder or a complete beginner, you can create a mod for Game Dev Tycoon. For beginners, our community has created a wizard-style mod creation tool that requires no programming knowledge. With its simple UI, the Ultimate Mod Editor allows you to create your own mod in no time. Is your game created in HTML5? Want to add Workshop support to your own Steam game? Good news! We have just updated our open-source Steamworks integration library, Greenworks, to include Workshop support and you can use this to integrate Steam Workshop for your game for free. Check it out here. Game Dev Tycoon modding is taking off! Since we announced modding support for Game Dev Tycoon late last year we have seen a great deal of interest in modding and in a short time the community has created some impressive mods. To check out some of the best mods have a read through our first Game Dev Tycoon Modding Spotlight. The EPM mod adds many more topics, platforms, events and even some advanced features like the ability to create your own PC’s or to set your own sales price. The Cheat Mod finally allows you to cheat to your hearts content without endangering your save files by manually editing them. The Tweak Mod supercharges the settings menu, allowing you to speed up the game and gives you even the power to turn some of the notifications into less invasive text popups. The InfoStatMod adds more statistics to the game. The Camelot Expansion pack adds a whole lot of additional game options and UI tweaks (check out the feature list through the link). The Platform Randomiser turns your real world market knowledge useless and offers a greater (albeit currently some times extremely unfair) challenge. The Competitor Mod adds virtual competitors to the game. The Multiplayer Mod allows you to compete with other real players. If this list doesn’t impress you then check out our full mod list. To learn about how to install mods check out the modding FAQ. Please be aware that mods can turn your current save files inoperable so be careful when you install mods. Today, we are not just celebrating a whole lot of awesome mods but it is also my pleasure to introduce the Ultimate Suite, a mod editor and mod library created by our veteran modders Francesco Abbattista (aka @alphabit) and Chad Keating (aka @SirEverard). UME not only allows you to add custom topics, platforms, engine items and events but also allows you to add your own achievements and lab researches. How cool is that? Answer: Substantially! 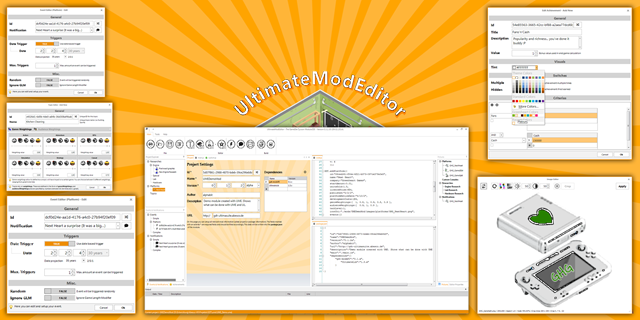 While the Ultimate Mod Editor is a great tool for novice modders, the Ultimate Suite also gives more power to advanced modders through the release of the Ultimate Lib. The UltimateLib essentially expands on the features offered through our official modding API and provides many more additional features. Clearly our community has embraced modding in a big way and we can’t wait to see what’s next. Given the interest our fans have shown we think we have also a responsibility to further support modding. Last month we already published changes in our Modding Agreement that allow modders to accept donations. For good measure, and as a small thank you, we have made some donations to prolific modders ourselves and have other surprises planned. We have also dished out some ‘Advanced Modder’ titles on the forum and are working on a badge system for our forum to further give modders the recognition they deserve. Finally, we have started working on Steam Workshop support. At the moment this is in early stages but we are looking forward to giving our modders more exposure through the Steam community. Since we opened up Game Dev Tycoon for modders through our modding API we have seen a great deal of interest and activity. We are going to talk more about exciting developments in the modding scene soon but today I just want to announce a small change to our Modding Agreement. (c) you may ask for donations on your website or in mod listings but such requests must follow after the mod description, title or download link and must not obscure these elements or be visually intrusive to users. We think this will ensure that players have a good experience while also allowing modders to accept donations. This new agreement is effective immediately. You can read the full agreement here. Both our Modding Agreement and EULA are published under a CC Attribution-ShareAlike license so if you are a software developer you can adapt these documents for your own needs. To put it in Game Dev Tycoon’s terms, Greenheart Games is moving to level 2! We are looking for great talent to forge a team with which we can tackle our next projects. Since we operate from different countries and work remotely we don’t need to move to a new office, but that also means that the jobs are available to applicants world-wide. If you have what it takes to create great games then head over to our brand new jobs page. “A unique opportunity” sounds a bit trite but having looked around the scene, it seems that not many indie developers who are lucky enough to be successful actually hire people to join their team. Even fewer seem to be looking for game designers or writers, which seems a bit odd considering how much of an impact good game design and good writing have on a game. If you are passionate about game development, graphic design, game design or writing and have the skills to back it up then we want to hear from you! This is a big step for us and a scary one as well. It is risky to substantially increase our running costs in order to forge a great team but that risk is necessary if we want to create better, more polished games within a reasonable time frame. In the end, the great reception that Game Dev Tycoon has received, particularly on Steam, allows us to take this risk and we believe it’s the right time to do so. If you want to help us out further then please consider sharing the jobs page. If we have better talent, you get better games! Since Christmas is just around the corner, you could also support us by considering gifting Game Dev Tycoon to a friend! Gifting the game is easy via the Humble Widget or via Steam. Discuss this post on our forum. The upcoming release of Game Dev Tycoon (1.4.5) will ship with a new EULA and a new Modding Agreement. You can now monetize your ‘Let’s Play’ videos of Game Dev Tycoon without having to ask permission first. Using mods is now allowed for the paid version of the game. The new Modding Agreement finally enables modders to create mods for Game Dev Tycoon. Modding support is currently in beta but we are already seeing some impressive mods. If you are not just into game development while playing the game but you are also into software development in real life then we have even better news for you. We believe in giving back to the community and that’s why we put our EULA and Modding Agreement under the Creative Commons Attribution-ShareAlike 3.0 Unported license. What does this mean? You can adapt these documents for your own games (incl. commercial games) free of charge. All you have to do is keep the attribution paragraph intact. These aren’t just documents we threw together. Both documents were prepared by IDEALAW, a law firm specializing in Australian IT law. Massive kudos to IDEALAW for enabling us to release these documents under such a license. If you have further requirements (and you are in Australia) we highly recommend IDEALAW for their down to earth, straightforward and professional business practices. Please note: Neither Greenheart Games, nor IDEALAW in any way imply that these documents are fit for your purposes. They were created specifically for Greenheart Games, applying Australian law, and may not be suitable for your particular needs.